The Connecticut Supreme Court has just issued a landmark ruling: gun manufacturer Remington can be the target of a wrongful death lawsuit because of the way the company marketed the Bushmaster rifle used to kill six educators and 20 students at Sandy Hook Elementary School back in 2012. Remington had argued that it could not be held liable, because 2005 federal law (Protection of Lawful Commerce in Arms Act) shields gun manufacturers from liability when their products are used in crimes, yet, under Connecticut law, Remington can be sued for wrongful marketing. The plaintiffs in this wrongful death case (one survivor of the attack and relatives of nine of the people killed) argue that the AR-15 rifle used by shooter Adam Lanza is too dangerous for the public. Remington, the lawsuit claims, glorified the weapon in marketing it to young people. 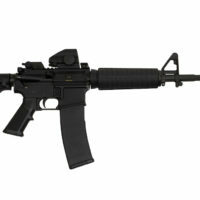 Lawyers for the plaintiffs argued that the Bushmaster and other AR-15 style rifles were designed as military killing machines and should never have been sold to the public at all. Lawyers for Remington, meanwhile, maintained that the Bushmaster rifle is a legal firearm used by millions for hunting, self-defense and target shooting. Meanwhile, the Remington Corporation’s profitability was so severely hurt by the legal and financial ramifications of the Sandy Hook shooting that it filed for bankruptcy reorganization in 2018. The wrongful death lawsuit against Remington was allowed to move forward based on a state law concerning unfair trade practices. The theory is that, while Remington did not commit the massacre, the company’s marketing materials inspired it. The principle is called “negligent entrustment”. Remington entrusted to the public a product it should have known could be used to injure others.